A versatile, lightweight summer polo made with the same soft comfort and Cool-Lite™ fabric of Icebreaker's popular Sphere Tank, the Sphere Short Sleeve Polo is a modern, airy polo shirt for no-frills travel and daily comfort. Their Cool-Lite™ jersey fabric blends natural Tencel® with their corespun fibers—nylon threads wrapped in merino wool for the ultimate combination of softness, breathability and durability. 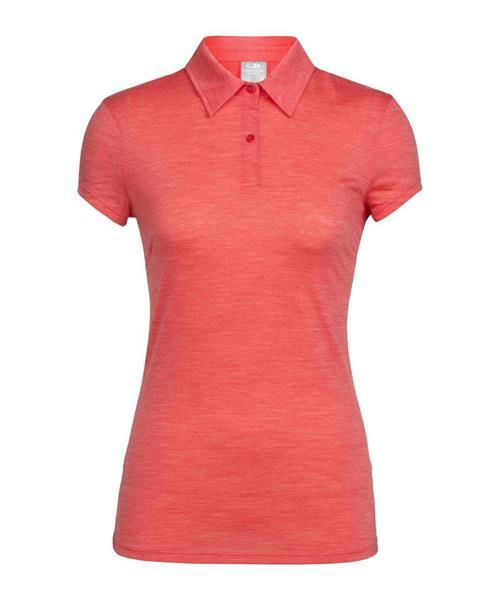 The cap-sleeve construction, polo neckline and three-button placket offer up reliable, flattering and incredibly versatile style.